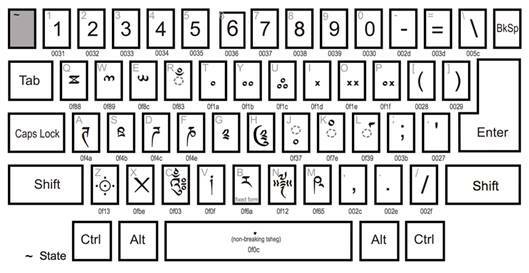 Provides corresponding complementary soft keyboards for each keymap. Open Microsoft Word or another program. 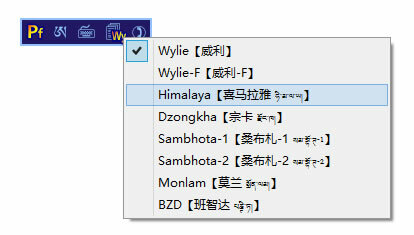 -- Choose Himalaya or other Unicode Tibetan fonts. After Perfect is lunched, you can see its Logo on the language bar, and status bar and input window at the bottom of the Desktop. 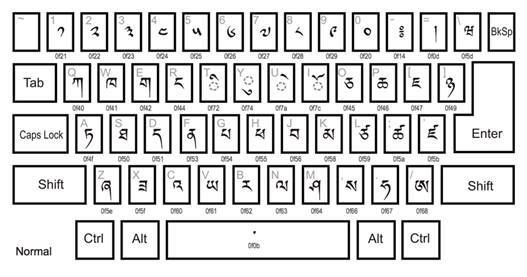 The input window is divided into 3 areas: the input code area, the Tibetan result area and the phrase candidate area. 1) While typing encoding, the corresponding Tibetan results immediately show up in the Tibetan result area, and the predicted phrases are displayed in the candidate area. 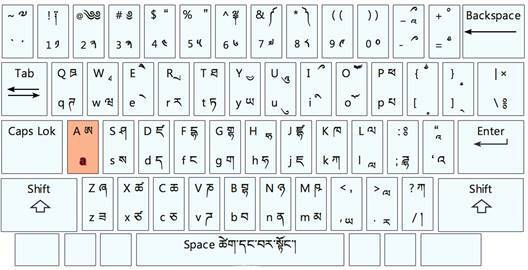 At this point, pressing PageUp or PageDown key to page, use number keys to select a candidate phrases; or press the Enter key to directly send the resulting Tibetan text to the editing application window. 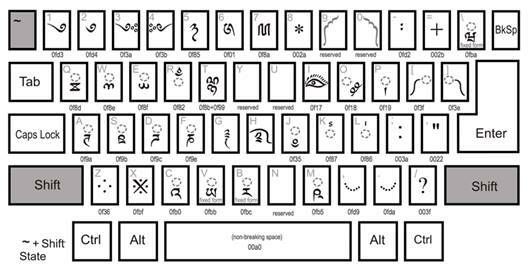 The corresponding icon are: Wylie , Wylie-F , Himalaya (ཧི་མ་ལ་ཡ།) , Dzongkha (རྫོང་ཁ།) , Sambhota-1 (སམ་བྷོ་ཊ།) , Sambhota-2 (སམ་བྷོ་ཊ།) , Monlam (སྨོན་ལམ།) and BZD ( པཎྚི་ཏ།) . 3) Click the icon or , to switch between English and Tibetan input. 4) Clicking the icon , you can open the help file. 6) Each input layout is equipped with 5 soft keyboards, by clicking the button , you can switch among them. 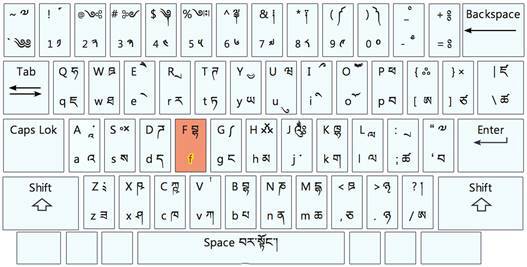 For non-standard Tibetan syllables such as Sanskrit, use the following Willy-F keymap to input. The Wylie-F encoding for a single Tibetan alphabet is exactly the same as the Wylie encoding, whereas the stacks do not automatically stack. 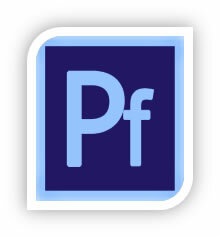 The key "f" is used to stack glyphs vertically. The vowel “a” can be omitted. Each input layout is equipped with 5 soft keyboards, by clicking the button , you can switch among them. Due to the Wylie coding, no corresponding appropriate keyboard can be provided, so five alternative universal soft keyboards are provided instead, as shown in Figure 12. 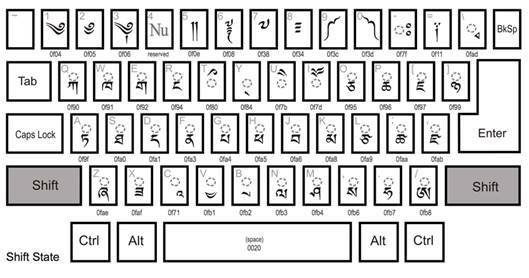 Other layouts are provided with corresponding appropriate keyboards, if there are less than 5, use some of the following universal keyboards for completion.